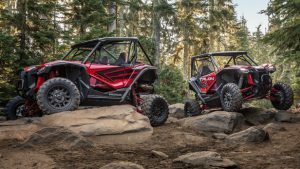 The Talon 1000R and 1000X are Honda’s entry into the sport UTV segment. The Honda Talon 1000X is designed for tighter and rockier trails. 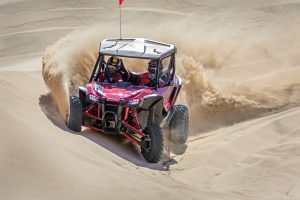 The Honda Talon 1000R is for dunes and more wide open riding. 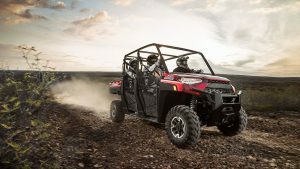 Honda recently introduced the Talon 1000X and Talon 1000R UTVs. 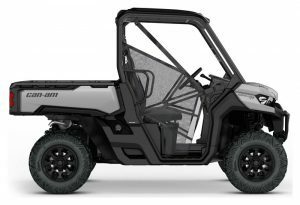 They are Honda’s long awaited entry into the sport UTV market. 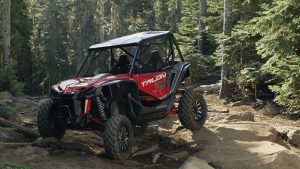 The Talon 1000X targets tighter wooded trails and rockier environments while the Talon 1000R aims for more wide-open dune riding. The models should be available in early 2019. I’ve seen sources mention January while others mentioned March. The first date might be production and the second could be arrival at the dealerships. In any case, the following specs are common to both versions. The two models have different widths, wheelbases, slightly different suspension systems with different suspension travel. a slight difference in suspension travel and different color options. The following specs are some of the key differences between the vehicles. In early January 2019 Honda announced pricing for the vehicles. The following are some initial reviews and analysis of the Talon from around the industry. First Look Review (video). Provides fairly in-depth analysis of the engine and drive train and highlights many of the key features that the reviewer likes. General overview of key specs and some commentary. Honda’s entry into the sport market has long been rumored so this isn’t much of a surprise. People may not have expected two different models, but targeting the main sport sub-segments makes sense. The initial reactions are very positive and Honda’s reputation for quality and performance have riders expecting a good vehicle. Not surprisingly, Honda’s entry makes the sport end of the market now quite crowded. As a result, the competitive landscape raises the question of how Kawasaki will respond. 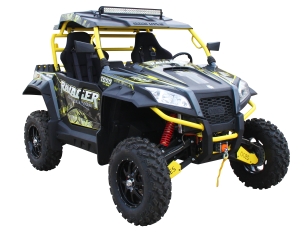 They have been focusing more on the utility side of the market with their recent model introductions and have not made any really big changes with their more recreationally oriented Teryx product line. I would suspect they might come out with a new high-end sport vehicle in the next year and probably as a separate product line. 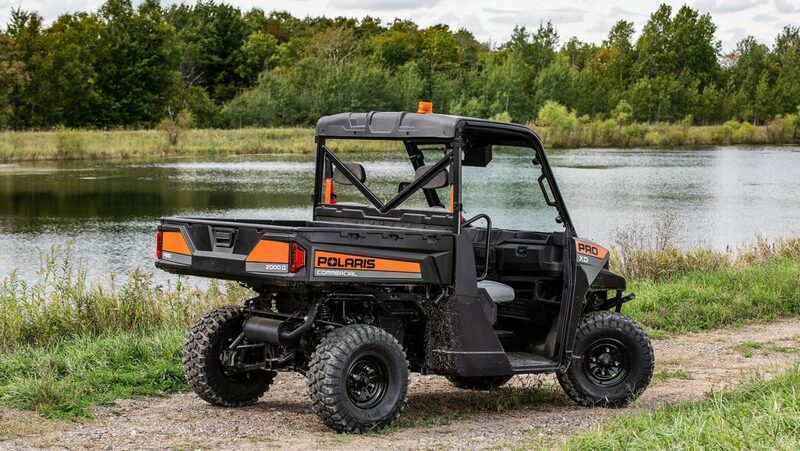 The 2019 Ranger Crew XP 1000 EPS in Sunset Red Metallic from Polaris. These reviews focus on the base and Premium model with some owner added options as noted. In general, the reviews are very positive. Owners like the power, ride and storage of this model. The only common issue is that the response of the vehicle on initial take-off can be “jerky”. The first two videos discuss some of the key features of the vehicles and are from dealers. Actual owners with time on the machines made the latter two and are more informative. Like the power. Have easily towed trailer with pavers. Machine is long. You will need a 14 ft. trailer. Commenters responding to the video talked about having a “jerky” initial takeoff. Others suggested this lessened with breaking in of the belt and using lower gear at start. First impression video review by a new owner of the 2019 Ranger Crew XP 1000 in Sage Green which is the base model. The owner drove the vehicle around a duck hunting camp in Alabama checking and pulling game cameras. Added front and rear glass. The Plexiglas option when scratched can be difficult to see through in low light. Sage Model doesn’t have adjustable driver seat and just a digital gauge instead of additional analog gauges. The 2019 models have not been out that long so there aren’t too many reviews available and they aren’t any based on long term usage of the vehicle. However, the reviews are pretty positive. The amount of interior storage the ability to remove some of the storage bins impressed the reviewers. The reviews are complimentary as one focuses more on the drivability of the Defender XT and the other comments more on the interior and usability of the vehicle. Smooth, linear power delivery with no noticeable power loss at 6,500 ft. 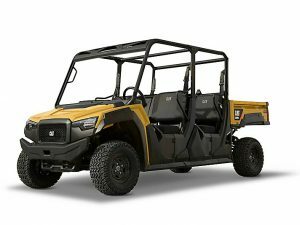 The 5-passenger diesel powered CUV105D is a new addition to the Caterpillar UTV lineup. 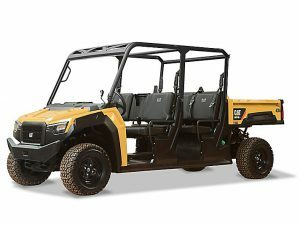 Caterpillar’s new 5-passenger CUV85 is gas powered. 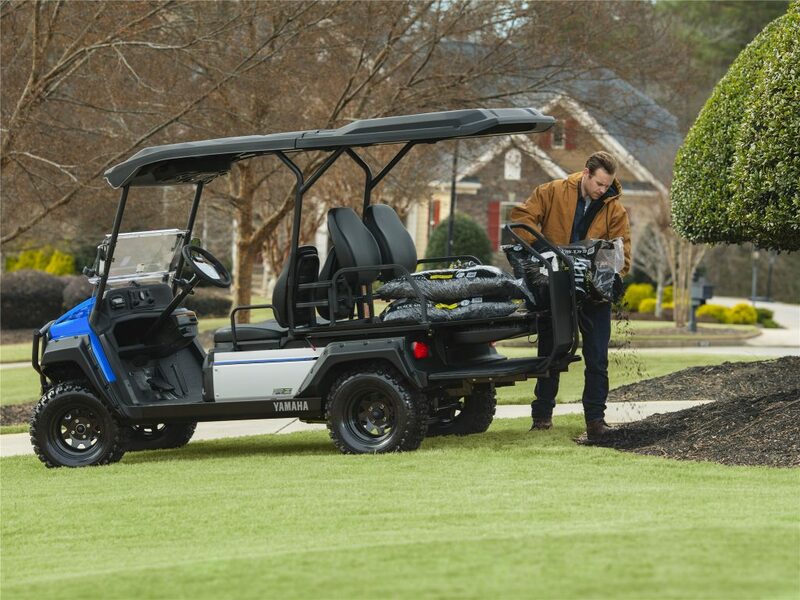 Caterpillar recently expanded their utility vehicle lineup with the 5-seat CUV85 and CUV105 D models in order to add a crew-sized offering. 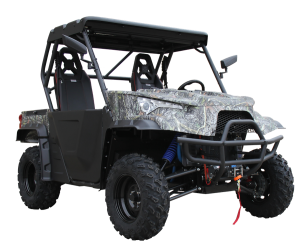 The CUV85 is gas powered and the CUV105 D is diesel powered because of the need to meet the diverse fuel options of their target market. 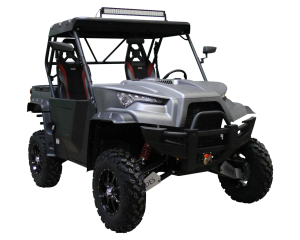 The expansion is a follow up to their entry into the UTV market earlier in 2018 with the CUV82 and CUV102 D two-person models. As a result, the lineup now includes four models. 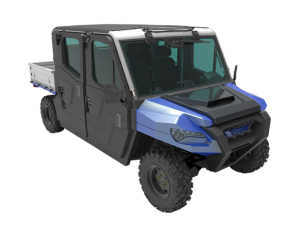 Textron is manufacturing the new models under a partnership agreement with Caterpillar. 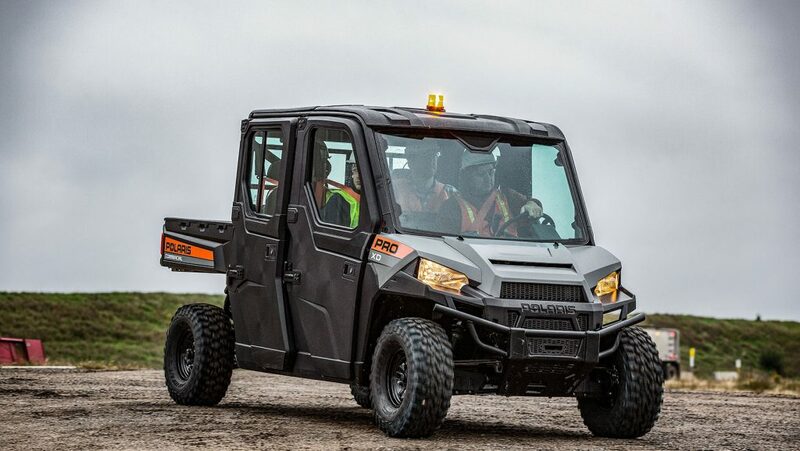 Furthermore, Caterpillar marketing material points to specifc features designed for work use including a steel cargo bed, smooth acceleration, clear sight lines and engine braking. 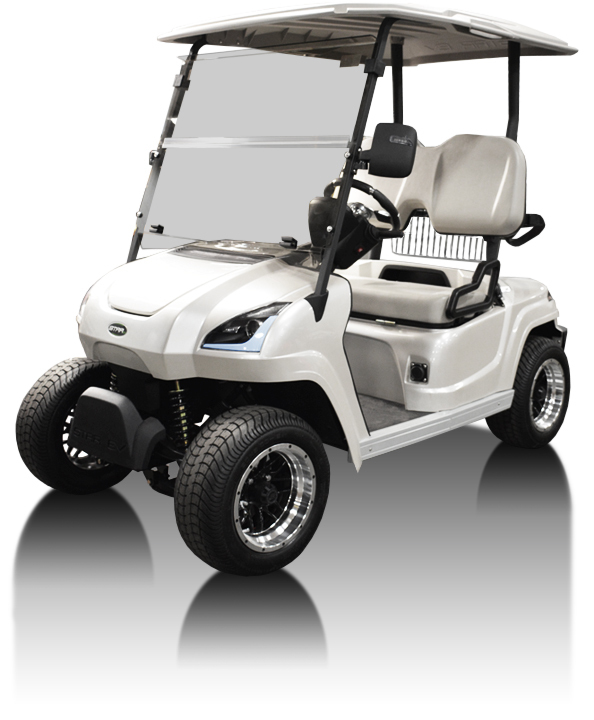 Additional features in order to produce quiet and comfortable operation include a design to minimize noise and vibration, ample head, elbow and leg room, and removable passenger seat base. Likewise easy access points facilitates maintenance and advanced diagnostics reduce troubleshooting time. SVR’s Take: Similar to other manufacturers, Caterpillar has expanded their product line with the addition of crew-sized models. 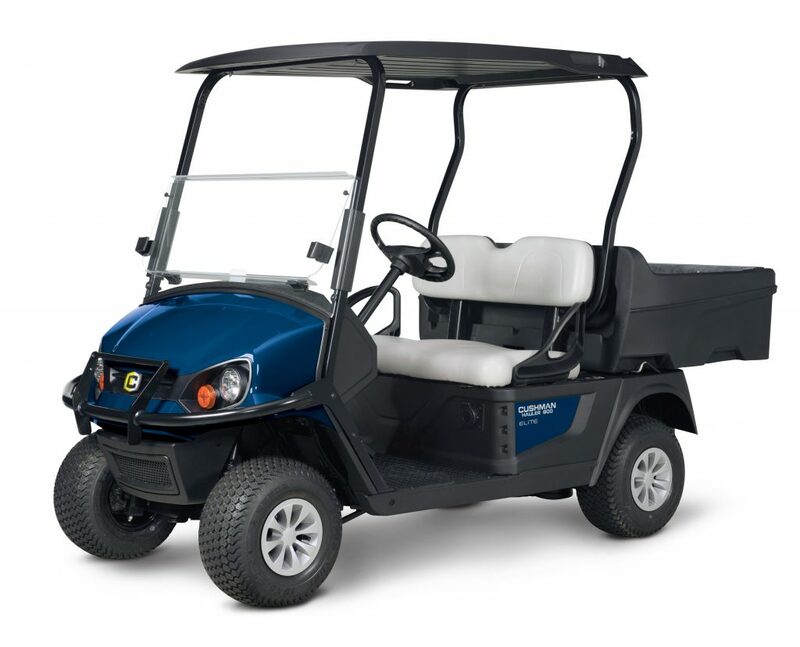 In contrast to some models on the market, these are pretty basic vehicles but with solid features which are appropriate for the work applications they are targeting. If Caterpillar is successful with this lineup they will likely continue to introduce new models.